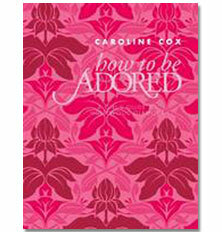 On my week off a book caught my eye on the shelf – pink, embossed and all about being glamorous, I snapped it straight up! I do wish that modern life wasn’t so much about jeans and t-shirts now but that we did pay more attention to how we look, speak and walk and inject a bit more glamour into everyday life. I love the idea of having a vintage style look but would lack the effort needed to pull it off. I did attend one black tie event once and curled my hair, wore a glitsy dress and red lipstick and got a lot of attention. 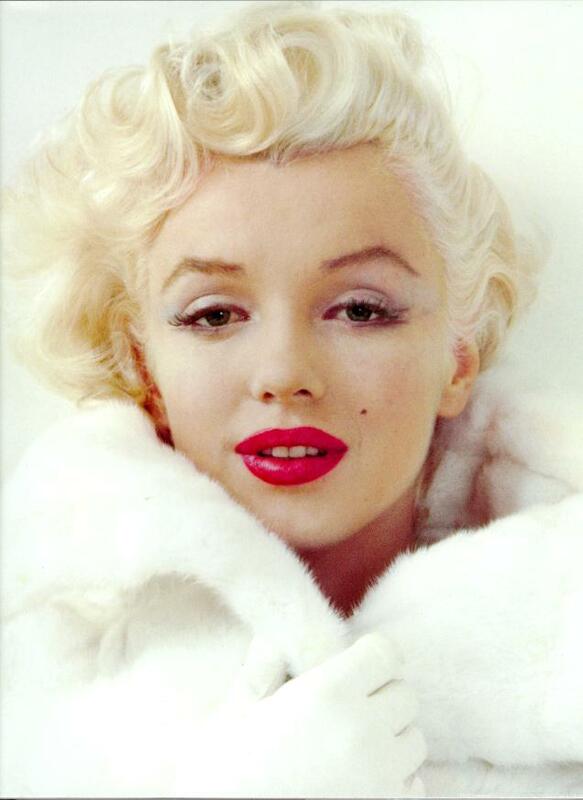 I think it’s nice once in a while to push the boat out and sparkle like Marilyn. Do you ever long for some glamour in your life? That’s absolutely true! I actually had a conversation today with one of my colleagues on dressing classy on a budget. Many believe that it’s the price tag which makes you look sexyfab, not realizing that their most priceless accessory is CONFIDENCE. Great post! Will be ordering that book! Confidence is key! Well said! Fun post Vixter. I love old school glam too. I take a lot of cruises and one of my all time favorite parts are the formal dinners that they have where you actually ‘dress’ for dinner. Love it! Ooh I’d like the formal dinners for sure! Tonight I’m going to wear something special for dinner. This post came at the perfect time! I’ve been wanting to glam up my house (but living with a boy makes that a iffy compromise). So I’m on the hunt for elegant pieces and giving away all of the college-y posters and knickknacks of my teen years. Sounds like a great plan, can’t wait to read about your finds! Amen to this and I think it’s great you wear dresses and make up! I wear make up whenever I go out, otherwise I’d scare people 🙂 She left us with some great quotes! Bit of an expensive shampoo! That’s a great trademark to have! Love that book cover. I would have snatched it up too!! Thanks for sharing some of the quotes for us. Very nice. It’s was too pretty to walk away from! Glad you enjoyed them! I could probably stand to read this book a few times! It is pretty easy to slip into the sweats & t-shirt look after having a baby. My standard of glamorous is probably a lot less glitzy than pre-baby! Yeah I can imagine, baby sick plus glamorous outfit doesn’t mix! I love thank you cards! LOVE this post! I feel exactly the same way you do. My boyfriend wears a shirt nearly every day and I usually wear a dress or a skirt because we just love putting effort into looking nice everyday and are quite old fashioned in that sense (no wearing jeans or tracksuits to lectures for us), and about our home. too So many times we have had discussions about wishing that some old social manners hadn’t died like thank you notes, writing letters (I write loads but most don’t reply with a letter but phone, text, on Facebook), serving proper coffee, always having homemade goodies to offer guests when they pop in, dinner parties, pretty paper/card invitations instead of Facebook events and texts, the list of social graces is endless! But style is a definite biggie and I too love to style my hair, make up, clothes, my whole style on these very classy ladies. I almost died of jealously when on one episode of How To Look Good Naked, Gok transformed a woman to have a Breakfast at Tiffany’s style portrait. I have popped this book on my wish list. Thanks Katie! I love the way you two do things! I’d like a Tiffany’s make over wow! Wow thanks! She’ll love it I’m sure! you know what sometimes i try to be glam but im far more comfortable in my joggers. love the post hon! I love your thinking it’s refreshing to be different and stand out! I like Coco Chanel’s “Fashion fades, only style endures”. That says it all for me. Look at all those famous stars – they all had style – and we still love to see it today! I agree very true, that’s why the Oscars are so popular – glamour! Aren’t these all the hallmark of a stylish woman? She’s not trashy and self assured. I think that is what makes us women, our inner elegance. Personally I don’t really care about glamor. I dress up when the events call for it, in my spare time I just wear jeans and a t shirt. I have a girlfriend so I don’t feel the need to constantly try to impress strangers with my looks. Cute tips, I need to see if my library has this! And I guess since I’m wearing dark eye shadow right now I will just eat some pasta tonight. Works for me! Lovin’ that Arlene Dahl quote. So true!!! I love old Hollywood! Sounds good I will, thanks! Hi Sarah thanks for reading and subscribing! I will check yours out too!